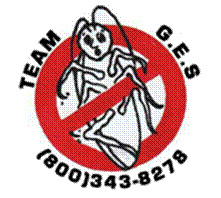 General Environmental Services Inc. is a family owned and operated Pest Management Company that has been servicing commercial and residential properties since 1979. General Environmental Services left the job site clean. General Environmental Services kept the job site safe throughout my project. General Environmental Services had the necessary expertise to manage my project. I have been using General Environmental Services for a long time. I had bees in my yard, and they came to my rescue. I have used them for years and they have always done a good job. The scheduling was inconsistent. We would have appointments scheduled and no one would show up. I did enjoy working with them, because they were very pleasant, but in the long run, I think it was better for us to just do the work ourselves. I was annoyed that I had to pay and still do the job. The ratings speak for themselves! They are always responsive, and they always follow up and come back. They have been pretty good and their treatment works. The guy that came over here said that he would come back in a month or so to check. I don’t know if he has come back, and if he has, it was not communicated to me. General Environmental Services was very good. I am just not sure when they will be coming out to spray again. I would like to know. They were really great. I'm really old, and I just want them to know that they will always be the tennis ball on the bottom of my walker. Their schedules are very loose. In the contract, it's not very clear when they are coming. The gentlemen that had the original business was great. He lived across the street from me. He sold it to General Environmental, but before it was called Precision Pest. I thought the guy did a good job. My tenants aren't complaining anymore, so the problem has been taken care of. They are pricey, but I needed someone to do it right away. I am happy with them. I would like the contract, and what is covered in it, sent to me. They did pest control. They showed up when they said they were going to, and I would grade them an A+. General Environmental Services did pest control. They were recommended, and I've been using them for a while. I would grade them a B. There was some miscommunication in terms when we had scheduled an appointment, and they sent someone out that couldn't actually do the service. I guess there was a miscommunication in the office. When we rescheduled, it was fine. It was a very positive pest control experience. The people were nice and their treatment was successful. I would grade them an A+. They did our pest control. They were courteous, followed up, and didn't use chemicals because they thought I was pregnant. They were great and I would grade them a B+. I remember some scheduling issue when he said he was coming one day and then sent his brother another day, but it wasn't a big deal. They only did pest control. There were no issues, so it was good. It was a good experience. They did cockroach treatment two or three times. It's better now. I called them back, so they followed up, and they did exactly what I told them. They didn't spray the house the first time, but when I called them back they followed up and did exactly what I recommended. I would grade them an A+ for the good experience I had with them. I didn't have any problems. I would recommend them.